The ceremony took place at Teck Ghee Community Club, I was arriving a little bit late and the there was security control because PM Lee will be coming later, received one kit at the reception which contains some small gifts similar like SG50 bag, around 20 rounds table with 10 chairs at each table, one new citizen can bring one guest to witness the ceremony, they will be seated at the back of the hall, as the event is solemn, the dress code should be smart casual, men to wear a tie, the procedure was quite compact and concise. There were 200 new citizens today, most of them are from Malaysia, others are from China, India, etc. After the video show of “My Home” and “One People, One nation, One Singapore”, PM Lee gave a short speech, he welcome the new citizen and talked about the core value of Singapore and integration of new citizens, then PM Lee presented the Citizenship Certificate for each of the 200 new citizen one by one, after that it was the recitation of National Pledge and Singing of the National Anthem, at the end was the lunch reception. Now I got my pink IC finally. 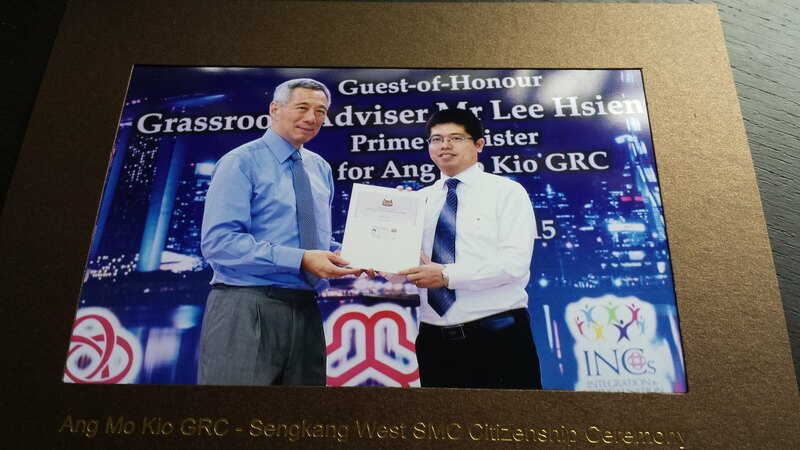 Received the Citizenship Certificate from PM Lee. 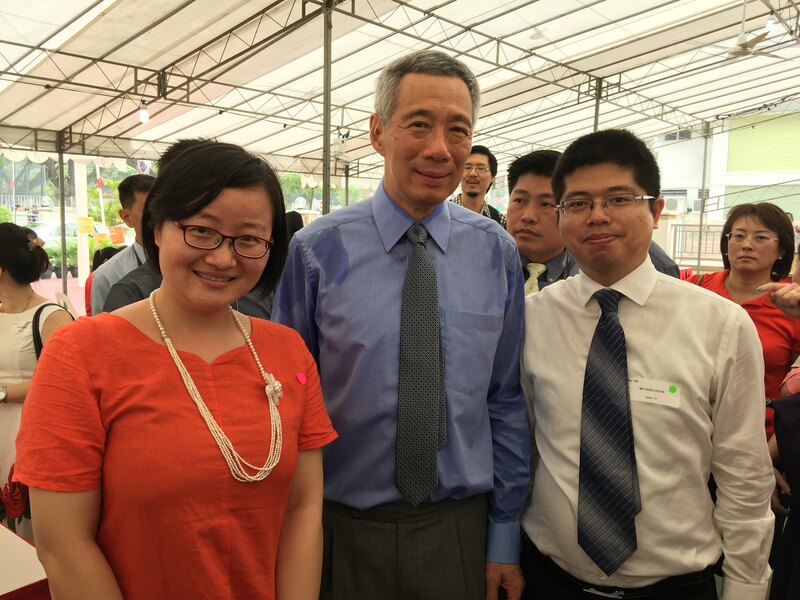 Got the chance to take photo with PM Lee.